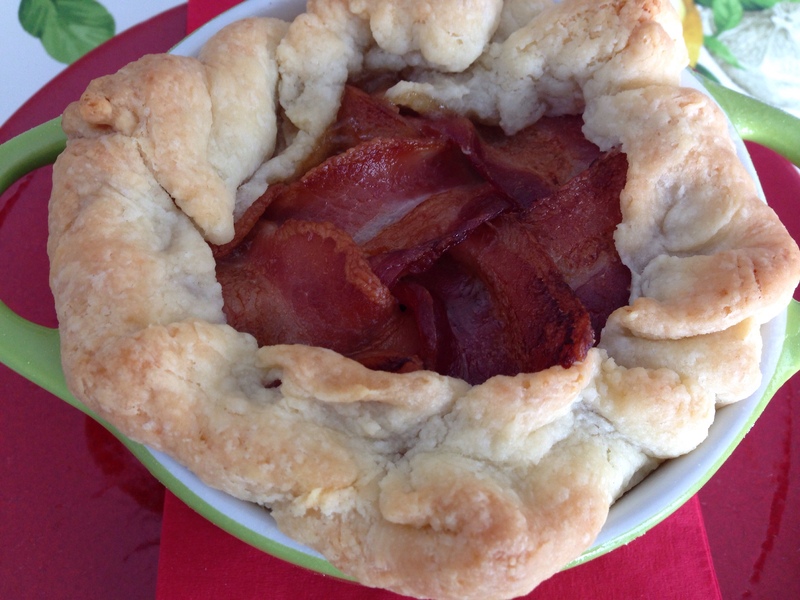 My youngest found a beef and bacon pie recipe in a Game of Thrones cookbook that looked rather good. 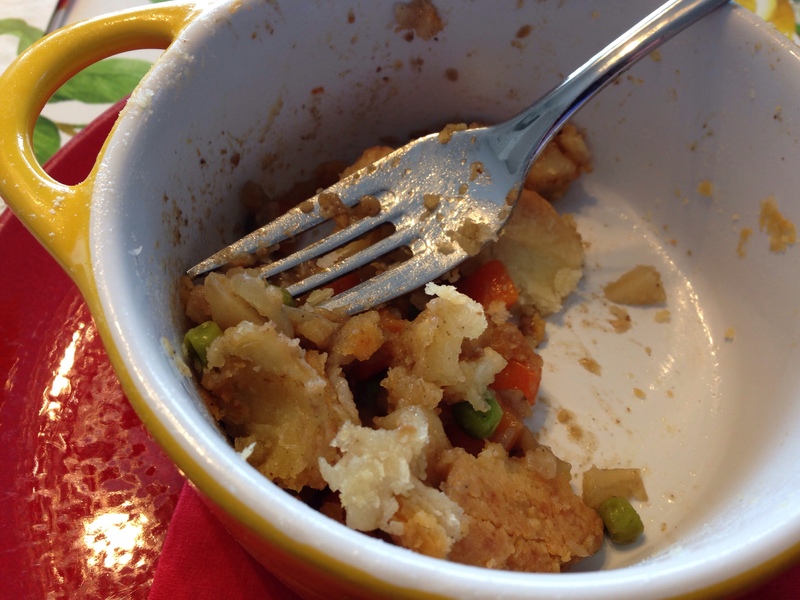 We modified it by cutting the beef by a third and doubling the vegetables. It is more steps than I usually go for, but it was really good and I’ll make it again some wintry Sunday afternoon. 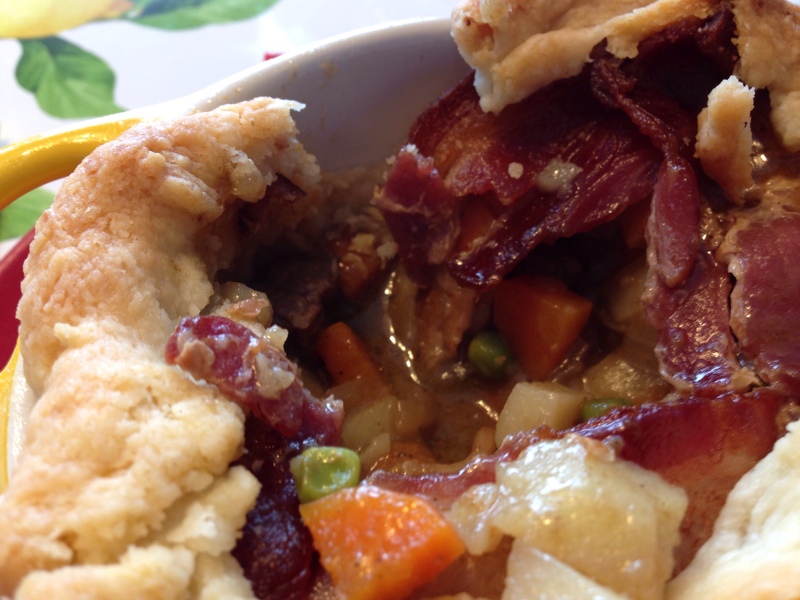 Basically it is 4 techniques: a quickly cooked stovetop stew, a baked mat of bacon, a pie crust, and an oven-baked pie. 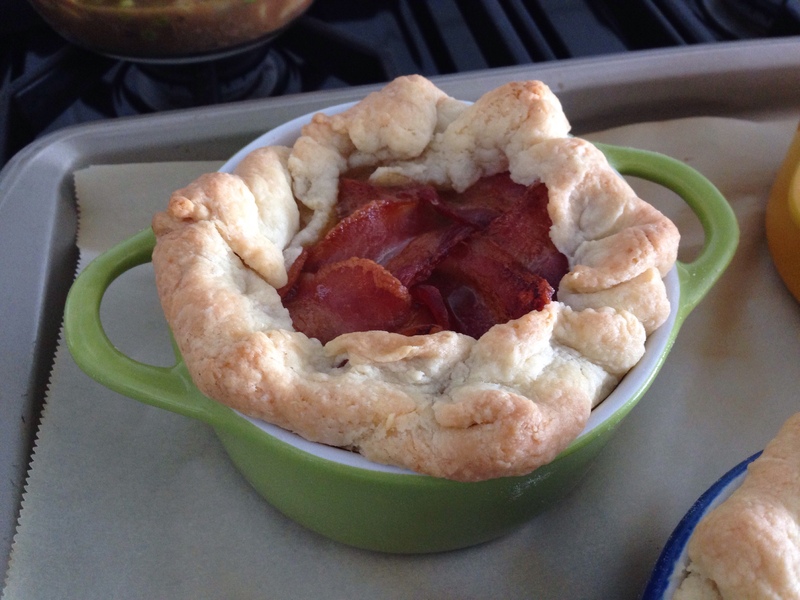 I made 4 small (11cm diameter) pies with this recipe. 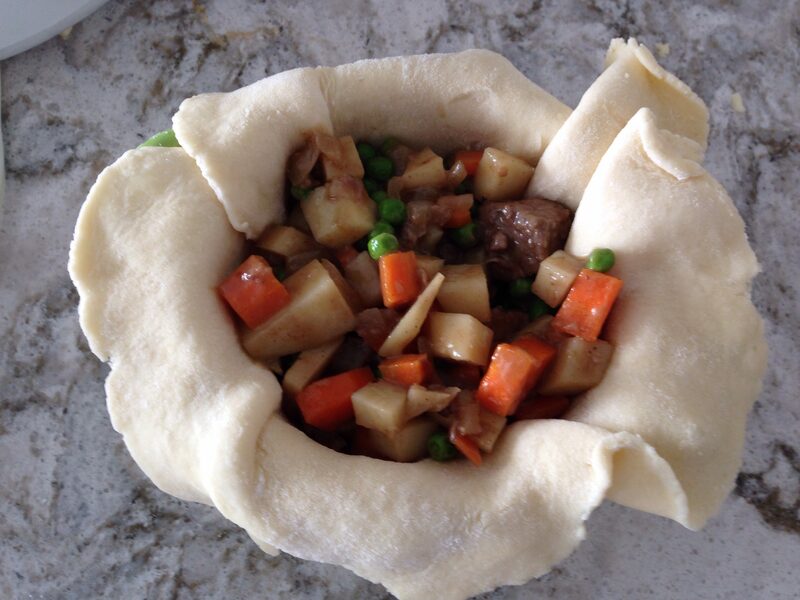 • Start with the pie filling as you want it to cool a bit before you add it to the pie crust. I cooked the vegetables and meat in separate batches to prevent overcrowding in the pan. Try to cut the meat and vegetables to similar sizes so each bite contains a variety of filling. From start to finish it takes me about 2 hours to make. • Add the oil to a stew pot and heat. Add the onions, potatoes and carrots and cook until they are starting to soften a bit. Remove them to a bowl off of the heat. • Add salt, pepper and thyme to the flour and toss the beef cubes in it. (Save any flour that remains). In the pot you removed the vegetables from, brown the beef on all sides. 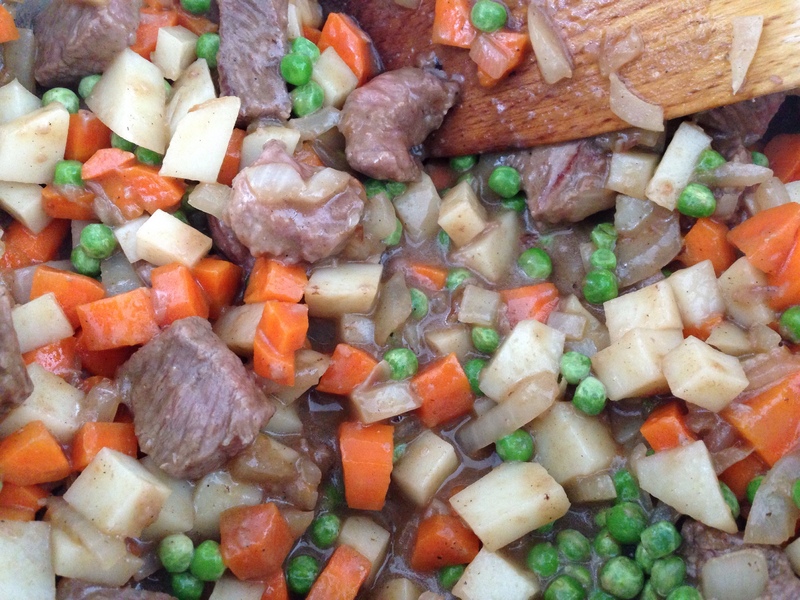 • When the beef is browned, stir the remaining flour mixture through the vegetables and return them to the pot. Add the broth to the pot and stir until the flour causes a gravy to form (5 minutes or so). Taste for seasoning. Add the frozen peas. Set aside to cool. Preheat oven to 400 degrees F. Line sheet pan with parchment paper. 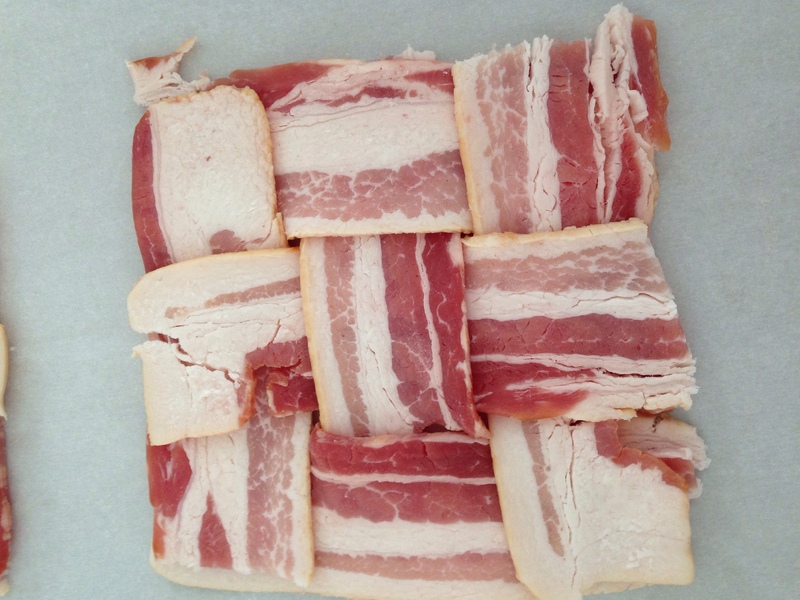 Cut 12 bacon strips in half and use 6 per basket weave pattern. You will make four of these to top the pies. Bake them on the parchment for about 15-20 minutes. 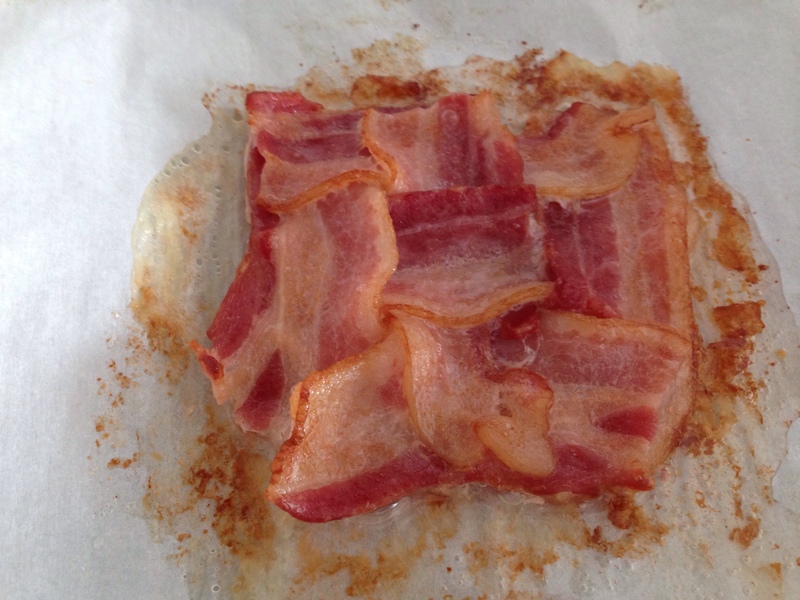 This is to cook off some of the fat, and “bond” the bacon strips together into mats of bacon loveliness. Process, flour, salt, sugar and butter in food processor until in coarse crumbs. With machine running, add water in a slow stream through feed tube. Pulse until dough holds together. Be careful not to process more than 30 seconds. 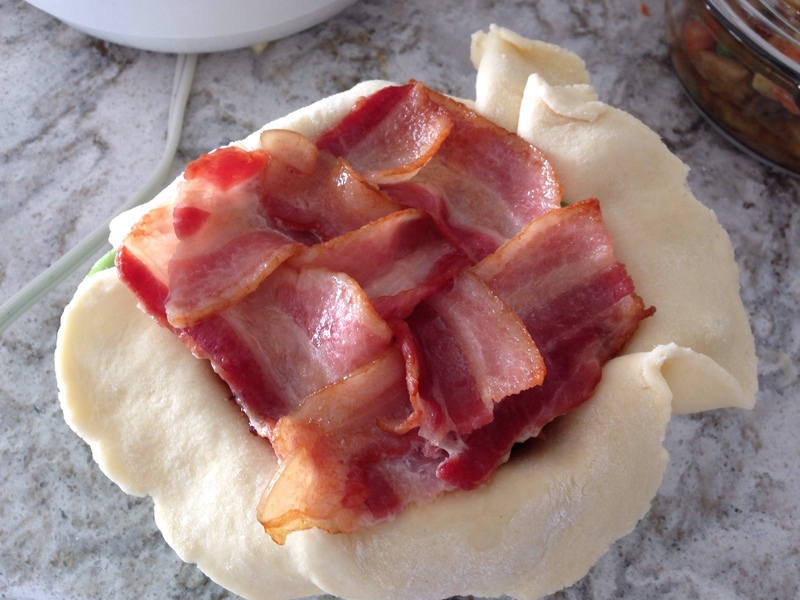 Divide dough into four equal portions. 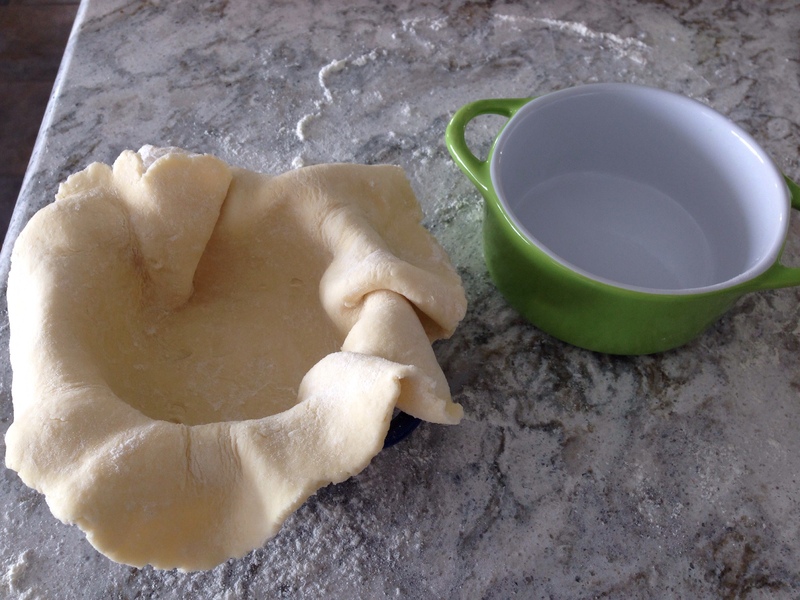 Roll out for pie crust. Chill if required. Our house was cold enough this was not necessary. Line the pie pans with crust, leaving some hang over the sides. Fill with beef mixture (it doesn’t have to be cold, but don’t put it in piping hot). 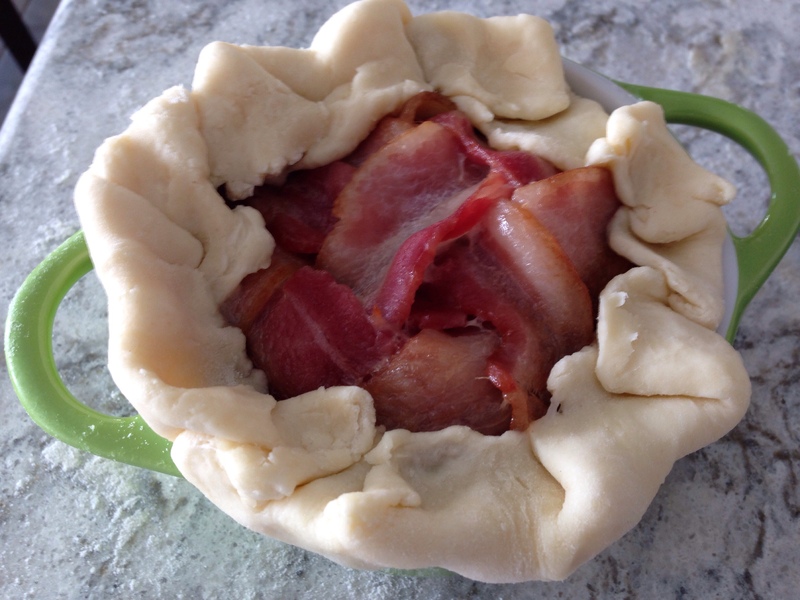 • Top the pie filling with the bacon, and fold the crust up over the edges of the bacon, tucking it in around the edges like a little blanket. Bake at 400 degrees F for about 40 minutes. That’s one fantastic looking pie. Thanks you. It was one of the tastiest I’ve made. Do you deliver to Nova Scotia???? LOL – this looks seriously Yummy! Very interesting ideas how to make simple everyday dishes for more interesting! 🙂 Thank you for inspiration!